The crappie are starting again. Shallow brush with jigs and Minnows are working. Bass are slow at rend but they can be caught shallow, real shallow. Cats are great as always. 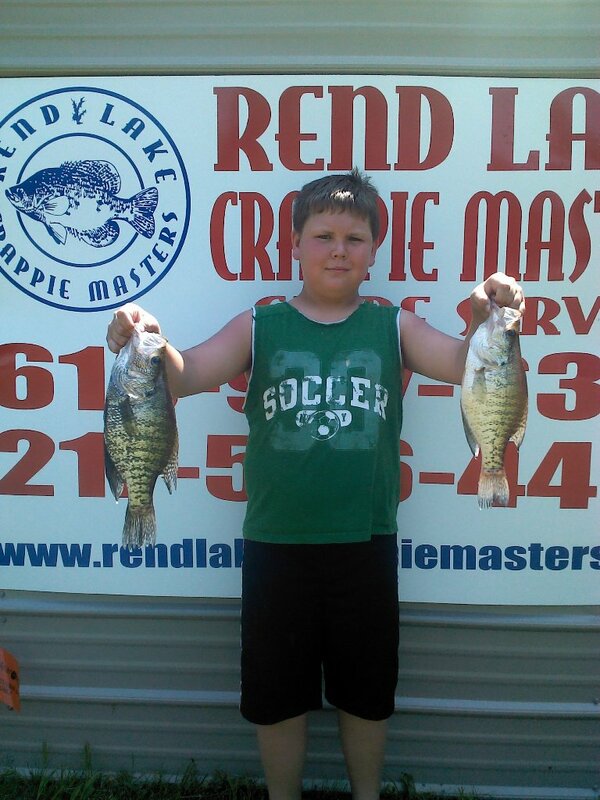 Rend lake crappie are scattered everywhere. Jigs and minnows are both working. Fish water anywhere from 1 to 12 feet. Moving a lot is key to catching a good mess. Cats are still great. Anything that smells will work. Bass have slowed but the shallow bite is still the best. Shallow cranks and soft plastics. The fishing is still good here in southern Illinois. The crappie are still holding deep off points. Minnows and jigs are both great. White bass are being caught on mainlake flats and rocks. Bass are being taken on lipless cranks and spinnerbaits. Lake Egypt night bite is also on. Main lake points with Carolina rigs and jigs both are puutin em in the boat. Ky lake is also red hot . Ledge , ledge or ledge bite is great. The crappie are still biting. I had a family for two days that took home 14 quarts of fillets. Minnows are best. Main lake points and drops are the best. Catfish are excellent drift with any bait. Bass r also good on topwaters spinnerbaits and small crankbaits. The catfish bite is a red hot ticket this week. Coolers full of big channel cats are easy. Shrimp and cut shad r the best. Look for them on top water when the wind isn't blowing. The crappie bite is still good too. Minnows are still the best but white jigs are pickin up. Big mouth bass are being caught everywhere on everything. Bass are great on the ok pond this year. the hot weather has made so real good fishing in the last week or so the crappie are doing real good no minnows in 8 to 10 foot of water but the real fun is the catfish the drift fishing is getting real ! Good noodling is good Wright now had 18 fish Saturday the time for the cats is here !! The crappie bit well today . They are heavily favoring minnows over jigs. The cats are in the rocks and on the flats. Cut shad is by far the best. Bass are all over almost anything u want to throw depending on the cover and time of day. The night bite is on at lake Egypt big worms and black spinnerbaits will both work. The crappies r on fire. Main lake with minnows and jigs are working great. Bass r crazy now also they r shallow and deep. Topwaters and lipless Crankbaits and flippin shallow r working well. The cats r spawning. Rocks w slip cork and anything u want on the hook is fine. Boneyard Fishing is offering some spectacular spring and summer specials for 2016. Fishing for two and over night lodging at the Boneyard Fishing and Outfitters for $275. Includes a full day or limit of crappie . Get more details at BoneyardFishing.com and book now!